When is Lightning Season and How Should I Prepare? According to the National Weather department, lightning strikes is highest during the summer months of July and August in Florida. 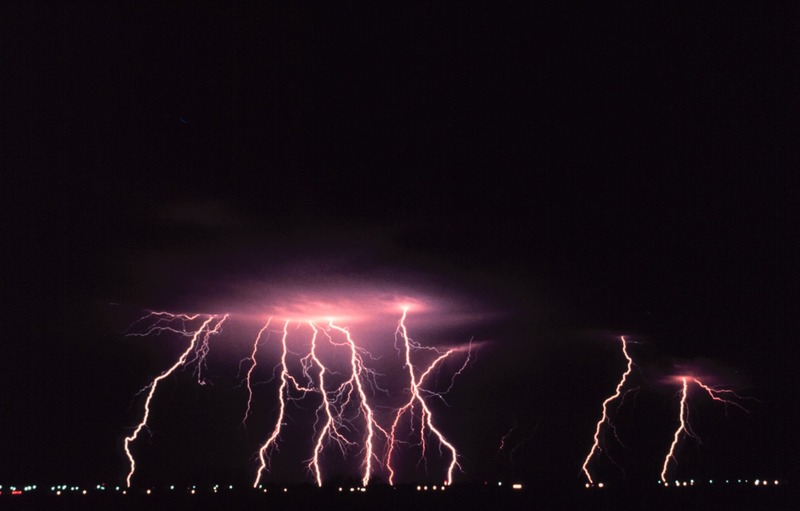 Lightning can be deadly and people die from lightning strikes every year in the United States. The chances of being strike or killed by lightning are very small but what if we are in the wrong place at the wrong time. Lightning victims did nothing to attract the lightning to strike them. They were simply unfortunate and just happened to be at the exact spot when the lightning is going to strike. In order to stay safe, the important thing is simply not to take chances but to recognize the warning signs and get to a safe place as soon as possible. The safest place to be in during a thunderstorm is indoors. A lightning monitoring system will be able to accurately predict lightning frequency in advance and help to improve the safety of especially fishing, farming communities and other outdoor activities. It also allows ample time for those who have to work in the open space or spend a lot of their time outdoor to get indoors or out of danger way once the warning alert is given out. This lightning warning system is equipped with sensors for the monitoring of in-cloud lightning so that storm and lightning alerts could be generated faster to protect the communities from severe effects. The advanced alerts are helpful to those who needs time to get to safety and also those who are organizing outdoor events such as school events or sports activities where many lives are involved. Lightning sensors are used to pick up discharges every day and with the information provided, the system is able to reveal the areas with the most concentration of lightning likely to occur. It is the responsibility of heads of big organizations, schools, universities, and others to seriously think of lightning safety for their staffs, students, and people in their organization. With advance lightning alerts, people are able to plan their outdoor activities e.g. camping or boating, etc. without endangering their lives. If you are caught in a thunderstorm, try to get indoors or get into your car with the windows wind up. If that is not possible, avoid taking shelter from trees, poles or other tall objects, and stay as low as possible. Stay away from water as water is a good conduction of electricity.